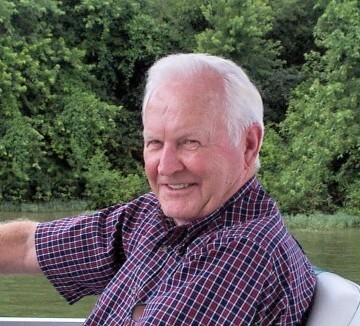 James Walter Batten, age 81, was born on July 30, 1932 in Old Hickory, TN and passed away on December 8, 2013. James was a long time employee of Dupont Power House. He is preceded in death by his parents, Roy and Susie Batten, brother, Ed Batten, and sister, Melba Neese. He is survived by his loving wife of 62 years, Lucille Batten, children, Sherry Bailey (Brian Beisel), Jimmy Batten (Cheri), Steve Batten (Lisa), and Melanie Touchton (Thad); grandchildren, Tracy Carter (Steve), Trent Batten, Jeny Batten, Justin Batten (Brandon Anderson), Samantha Batten, Tyler Angell, Ali Angell, Jennifer Knolton, Whitney Linginfelter, Bailey Touchton; great-grandchildren, Drew & Zac Carter, Porter Linginfelter, Addison Janssen, brothers, Paul Batten and Grady Batten (Billie), and sister, Sue Davis (Joe). A celebration of life ceremony will be conducted on Wednesday, December 11, 2013 at 1pm in the chapel of Hendersonville Funeral Home, with Rev. Paul McAdoo officiating. A visitation with the family will be held on Tuesday, December 10, 2013 from 4-8pm and on Wednesday from 12-1pm. Interment to follow in Hendersonville Memory Gardens. Walter was one of the kindest and best natured people I ever met…he will be sorely missed by so many…to Lucy and the rest of his family, I can only offer my deepest sympathy for your great loss and pray for comfort and peace. He never had an unkind thought or spoke ill of anyone. He was a true treasure to all who knew him. Steve, Lisa and family: Please know you are in my thoughts and prayers. I am saddened to hear of your loss. May God comfort you with wonderful memories and the knowledge that you WILL see him again someday. So so sorry for your loss, but it is Heavens gain, & 81 is a good life, I know he will be missed by many, but in a much better place than us here that remain, again I am truly sorry for your loss & prayer’s are going out to your family, I pray that GOD comfort each & everyone of you & give you the peace that only our LORD can give, Blessings to you all. Steve and Lisa I was so saddened to hear of your loss. It is so hard to lose your father. We are all praying for peace for you and your family. May God bless you all in this very difficult time. My most heartfelt sympathies for your loss. My thoughts are with you and your family during this difficult time. So sorry to hear of your father’s passing. I have been thinking about all of you and keeping you in my prayers. Keep his memories close to comfort you. So sorry for your loss, Sherry and family, will keep all of you in my prayers as you go through this tough time. So sorry to hear of this great loss. Walter was a good friend and we will dearly miss him. I was sadden to hear that you lost your father. I want to let you know my thoughts and prayers are with you and your loved ones as you deal with the death of your father. One scripture that helps me deal with loosing the people I have lost to death is John 5: 28,29 it gives us a wonderful hope that the bible holds out for those who have died. My thoughts and prayers are with you and your family during this time. I wish I could be there to comfort you. Sherry, so sorry to hear of the loss of your father. You and your family are in my thoughts and prayers during this difficult time. Love you! Sherry, It is always hard to lose a parent and especially tough during the holidays. You will always miss him, but what a wonderful father and family memories you have. I was sorry to hear of his passing and my heart goes out to you and your family. Celebrate his life and the impact he had on you and so many more. Lots of love to you all. Steve and Lisa, We offer you our understanding sympathy having lost both of our fathers at Christmastime. May the memories you hold in your heart bring you comfort and peace in the days ahead. Our thoughts and prayers for you and your family. Steve and Lisa, My sincerest sympathy to you in your loss. You and your family are in my prayers.